With the heat of summer beating down, your little ones are probably asking for ice cream and popsicles non stop. If you’re looking for a slightly healthier alternative to Dairy Queen, we have a few recipes for you! 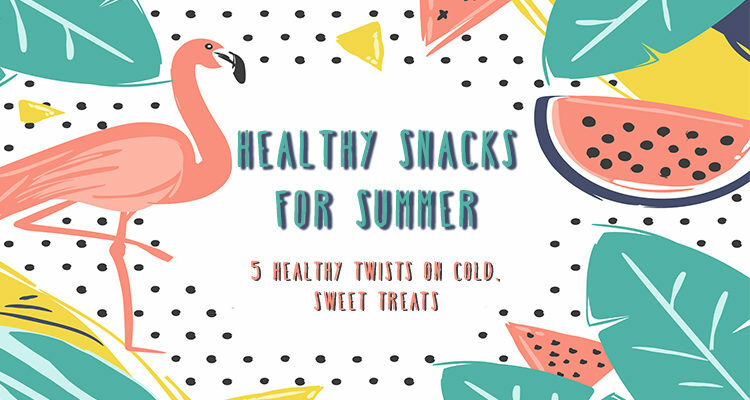 We have a list of 5 different recipes with healthy twists that will still satisfy a sweet tooth and keep everyone cool for the rest of the summer! Even if your kids aren’t fans of yogurt, they will love this snack! This is a great snack if everyone in your house likes something different! Spread out your yogurt mixture into a baking sheet or tray. Then, either top the whole thing or different sections with everyone’s favorite toppings! Some of our favorites are fresh fruit, chopped nuts, and a chocolate drizzle. Yum! Not only is this recipe dairy free but it is also painfully simple. All you need is one ingredient, bananas! Freeze some cut up bananas for at least 4 hours then toss them into food processor. This puree will be very similar to ice cream. Go crazy with toppings and let everyone top their banana ice cream with their favorites! Only slightly more complicated than the banana ice cream is strawberry ice cream! The best way to get an ice cream texture with strawberry flavor is to combine both frozen bananas and strawberries into your mixture. Again, this is a great healthy snack that everyone can add their favorite toppings to! A third dairy free alternative to ice cream pops is peanut butter and banana popsicles! While the original recipes calls for a topping of chopped nuts, we think a drizzle of chocolate would be delicious! And satisfy the chocaholic in your family! The perfect grab-n-go snack for summer! All you need is yogurt in tubes, like Go Gurt, or your favorite flavors of yogurt and some piping bags! More colors and flavors make the yogurt bites more fun! We hope you like these recipes and decide to give them a try this summer! Let us know in the comments which treats your family liked best! As always, click the share button on the side of the blog to share these recipes with your friends and family!